A product manager at Google has sued the company for its allegedly illegal confidentiality agreements, policies and practices that among other things prohibit employees from speaking even internally about illegal conduct and dangerous product defects for fear that such statements may be used in legal discovery during litigation or sought by the government. The alleged policies, which are said to violate California laws, restrict employees' right to speak, work or whistle-blow, and include restrictions on speaking to the government, attorneys or the press about wrongdoing at Google or even “speaking to spouse or friends about whether they think their boss could do a better job,” according to a complaint Tuesday in the Superior Court of California for the city and county of San Francisco. “The policies prohibit Googlers from using or disclosing all of the skills, knowledge, acquaintances, and overall experience at Google when working for a new employer," according to the complaint, which alleges that the company’s confidentiality policies are contrary to the California Labor Code, public policy and the interests of the state. Google’s Global Investigation Team “also relies on ‘volunteers’ to report other employees who might have disclosed any information” about the company, according to the complaint, which paints a picture that is in sharp contrast to the glowing image one usually gets about Google's workplace culture and perks. Under a program called Stopleaks, Google also asks employees to report on “strange things” around them such as anyone asking detailed questions about an employee’s project or job, according to the complaint. Employees are also said to be banned from writing creative fiction such as “a novel about someone working at a tech company in Silicon Valley,” without Google’s approving the book idea and the final draft. The policies are said to be be intended to control Google’s former and current employees, limit competition, infringe on constitutional rights and block the reporting of misconduct. The complaint goes on to state that the case does not concern Google’s trade secrets, consumer privacy or information that should not be disclosed under the law, but reflects the company’s use of confidentiality and other policies for illegal and improper purposes. In the lawsuit, first reported by The Information, the employee who has filed anonymously as John Doe, claims that Brian Katz, Google’s director of global investigations, intelligence and protective services, had falsely informed some 65,000 Google employees that the plaintiff was terminated for leaking information to the press, without naming him. Katz and Google used him as scapegoat to ensure that other employees continued to fall in line with the company’s confidentiality polices, according to the complaint, which asks that the employee should not be asked “to self-publish” his name. Google could not be immediately reached for comment on the lawsuit after business hours. The company was quoted by some news outlets as saying in a statement that its "employee confidentiality requirements are designed to protect proprietary business information, while not preventing employees from disclosing information about terms and conditions of employment, or workplace concerns." In September this year, the employee had complained to the Labor Workforce and Development Agency, after which Google made an amendment in which it “purported to broaden Googler’s right to discuss pay, hours or other terms of employment and to communicate with government agencies regarding violations of the law,” according to the complaint. Employees were not informed of the amendment and other policies were not changed, and “in fact, Google’s actual policies and practices remained unchanged,” it added. 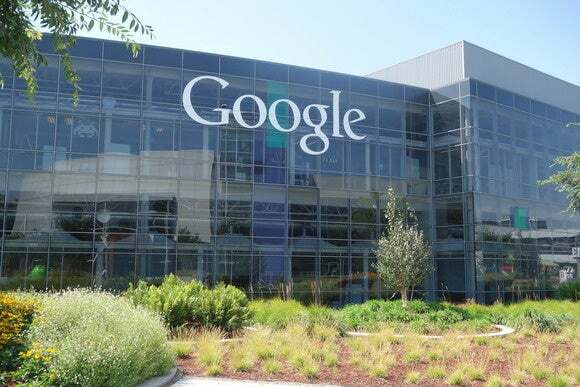 The employee has asked the California court for penalties for each of the 12 alleged violations under the Private Attorneys General Act on behalf of himself, the state of California and other Google employees.